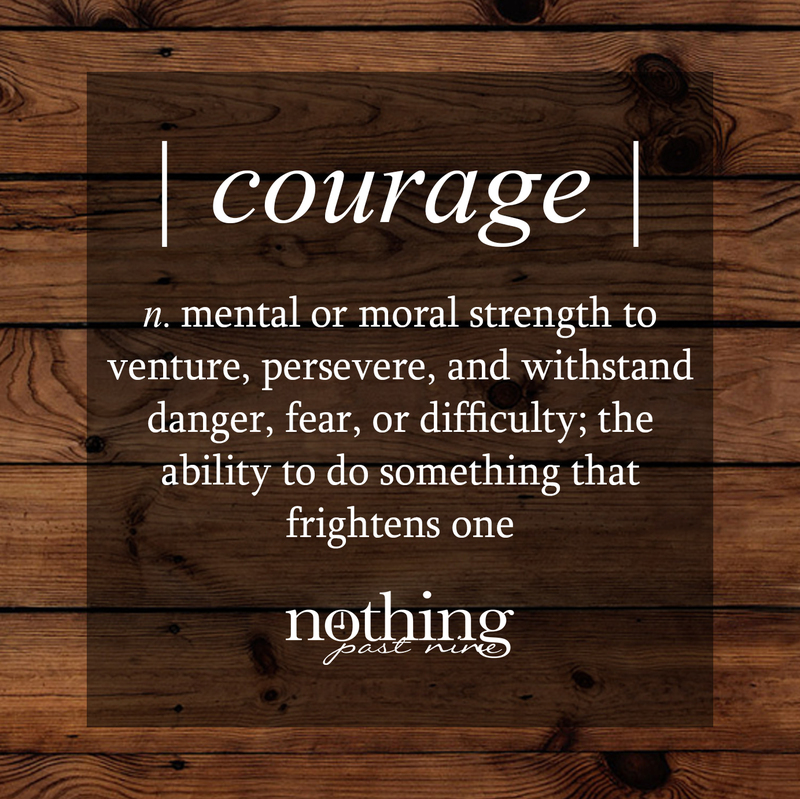 Do you consider yourself a courageous person? I don’t! I like my comfort zone and playing it safe. There are not many people who take fewer risks than I do! 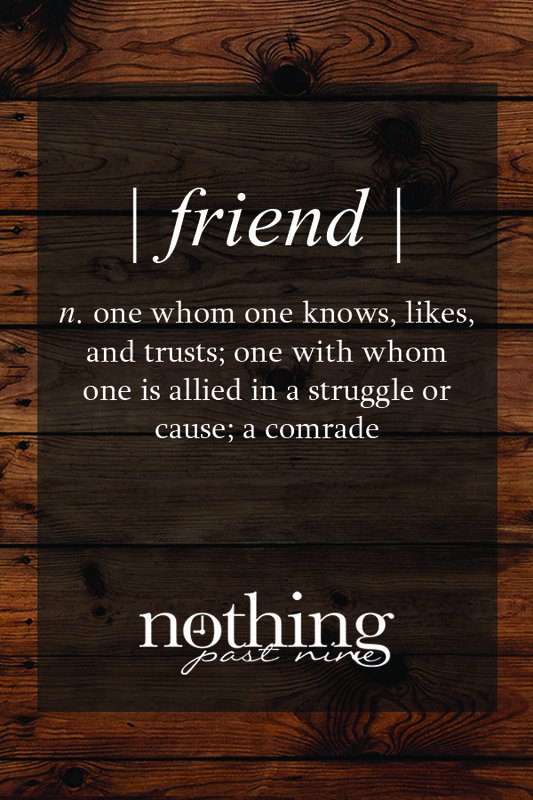 At least…that’s the story I’ve been telling myself for years. 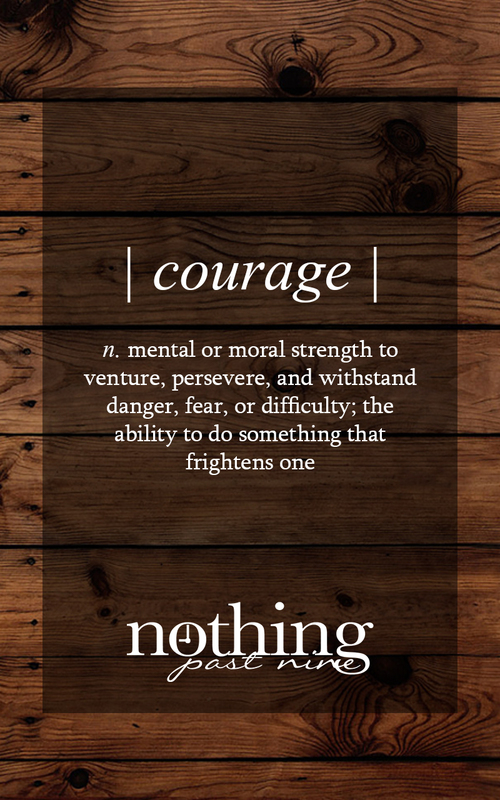 You and I each have a tremendous amount of courage, but we may not be giving ourselves enough credit. It took courage for me to start Nothing Past Nine, and it takes courage each day I continue this path of entrepreneurship. 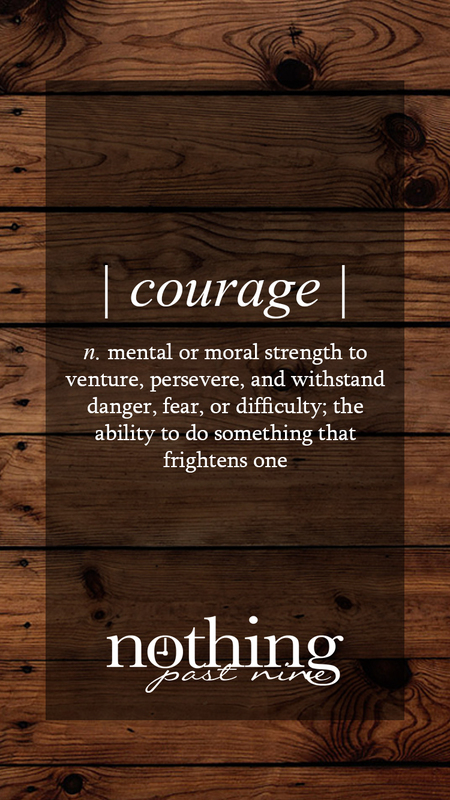 It takes courage to get up and go to the office, to the doctor, even to step outside in today’s world. 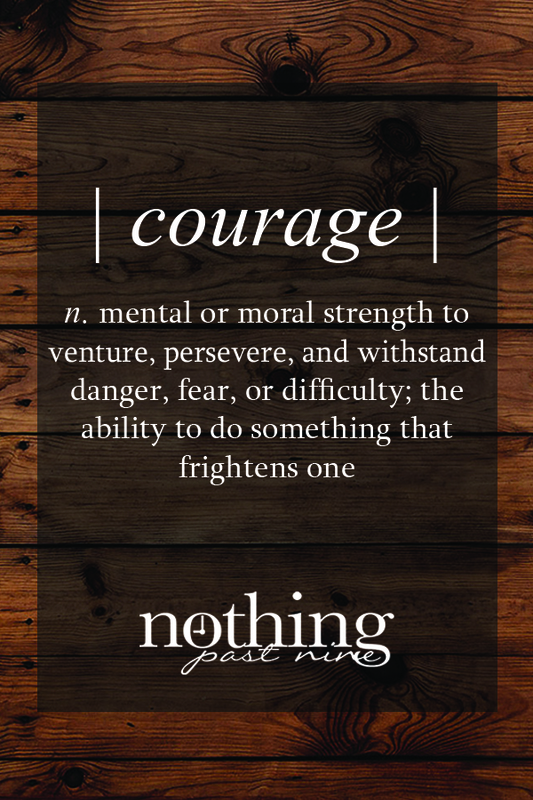 One of the thoughts that struck me while reading this post is that it does not say that courage is the absence of fear. 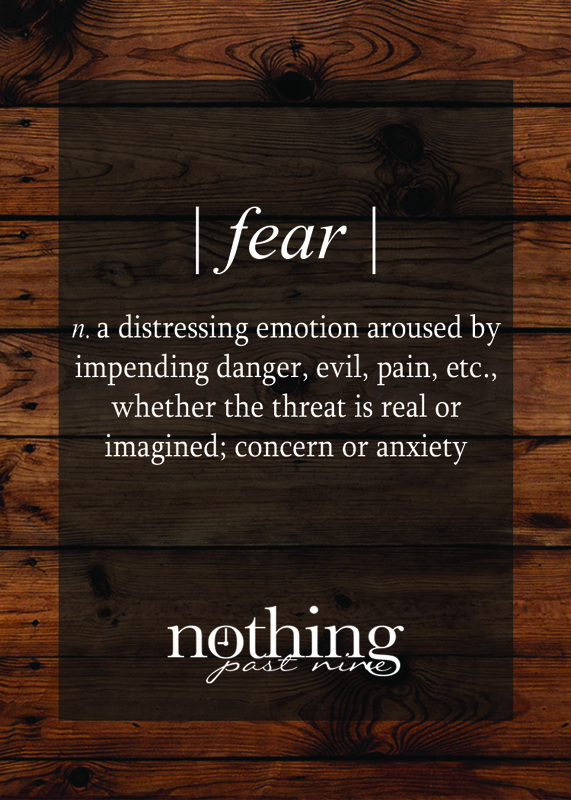 It says that courage is dealing with fear; whether that’s withstanding it or moving past it. This week (and hopefully beyond! 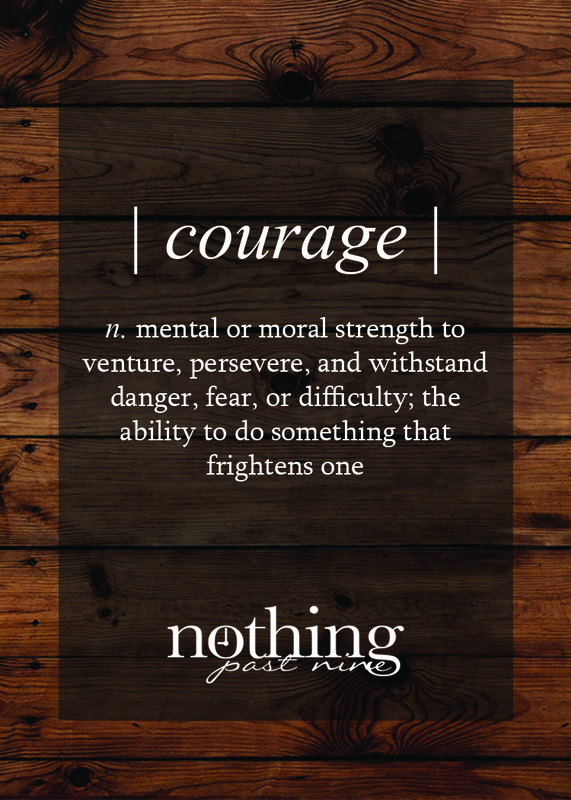 ), I have challenged myself to see my own courage as many ways as possible – in my personal and professional lives. 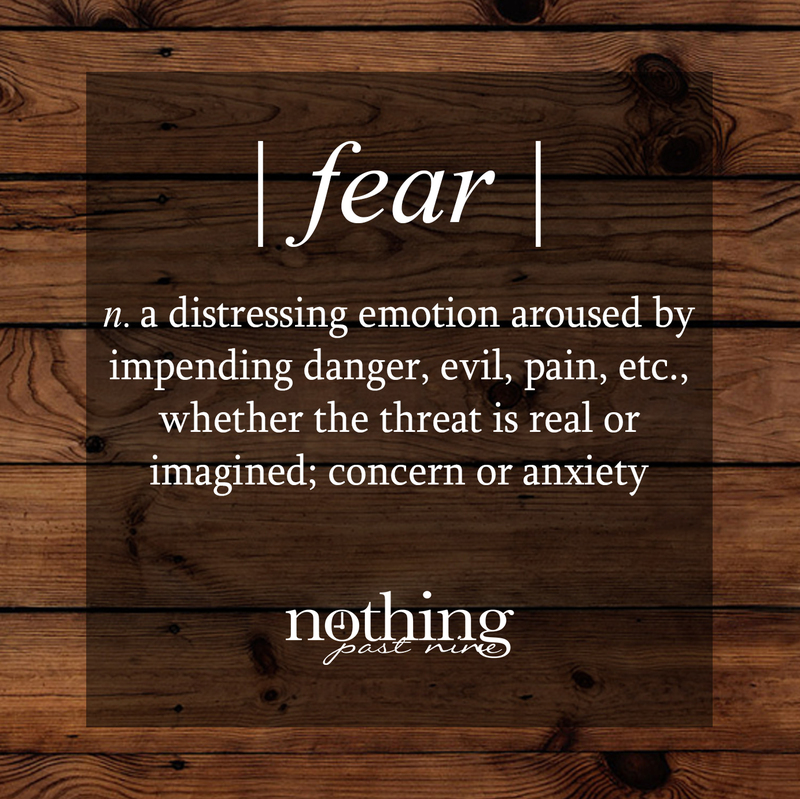 There are going to be things in life that we are scared of; we even talked about fear in last week’s post. 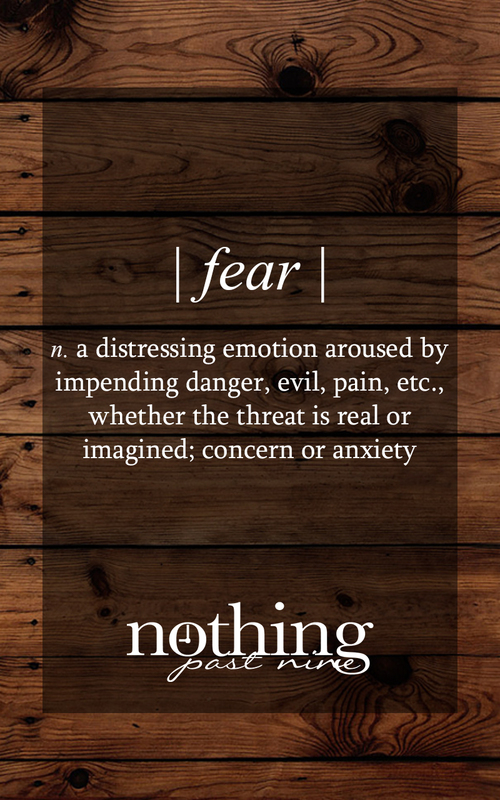 It does not matter whether the situation scares us a little or a lot, we all have courage to overcome what frightens us! Check us out on Instagram, Facebook, Pinterest and Twitter for behind the scenes looks, product information and more! Today on Facebook you’ll even see how I use the free download below to remind myself of this week’s challenge! How do you use your free download? 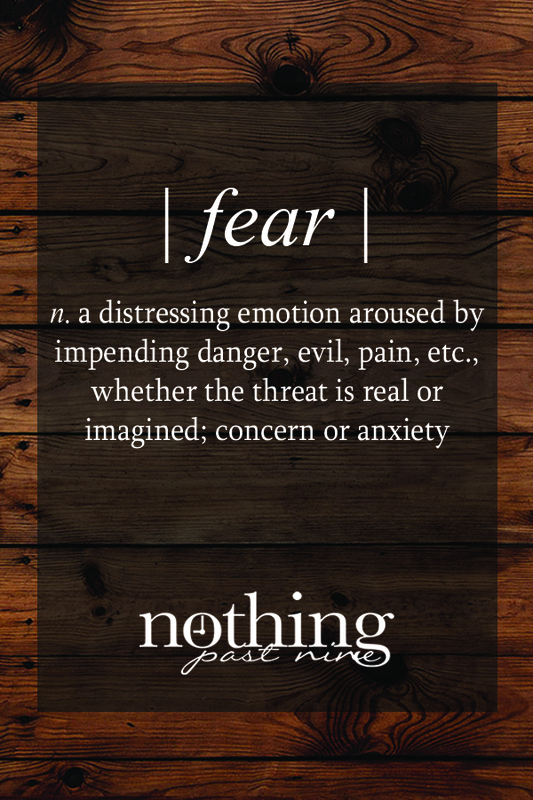 What do you think of or react to this definition? It makes me feel excited and gives me a sense of energy. 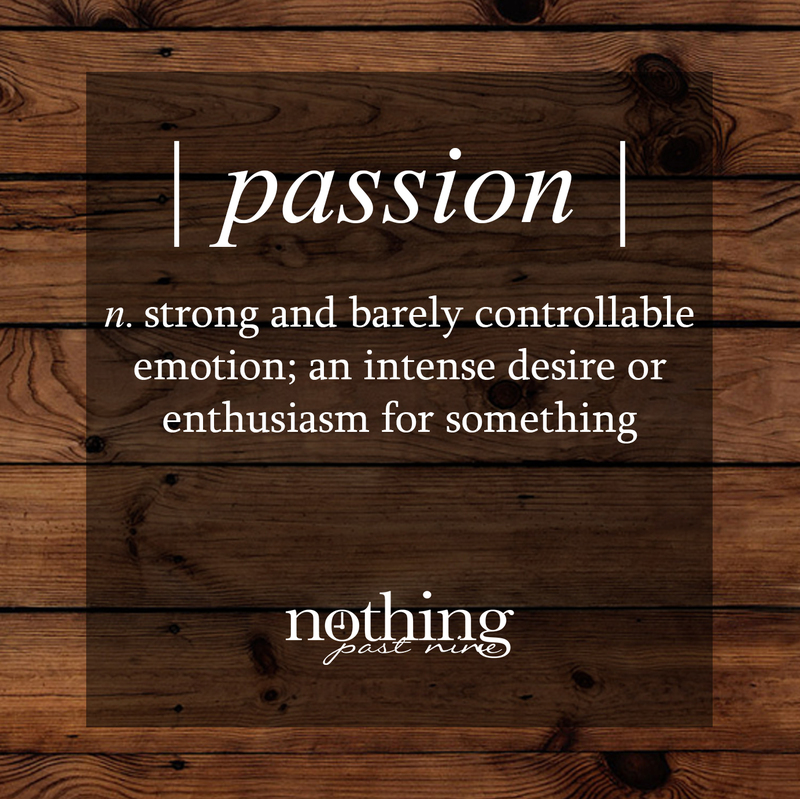 I start thinking about my passions and how excited I get about them; it makes me want to act! 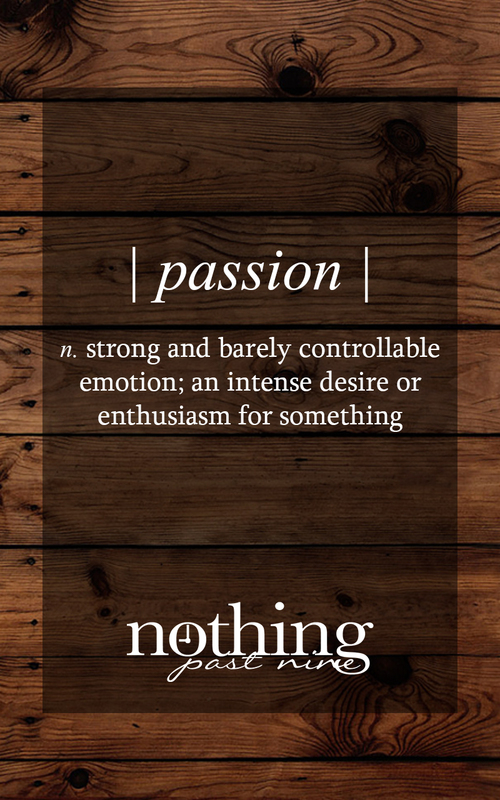 Now, defining your passion may be simple, but it’s been a work in progress for me. There are lots of items, tasks, responsibilities, etc. 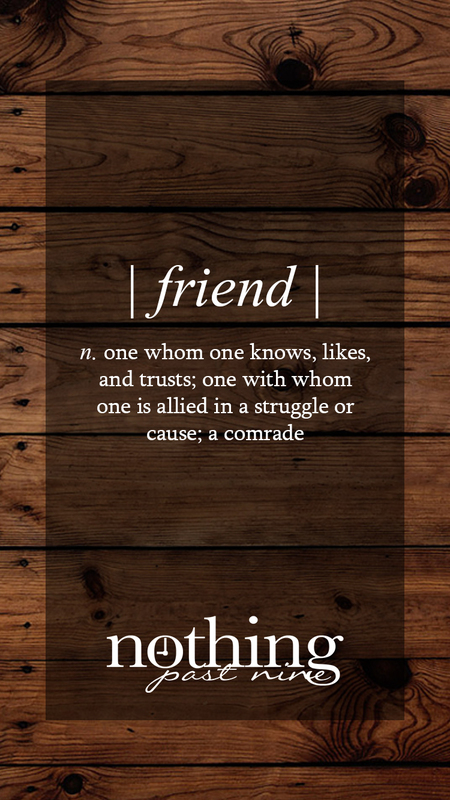 that I love. For example, I love food. 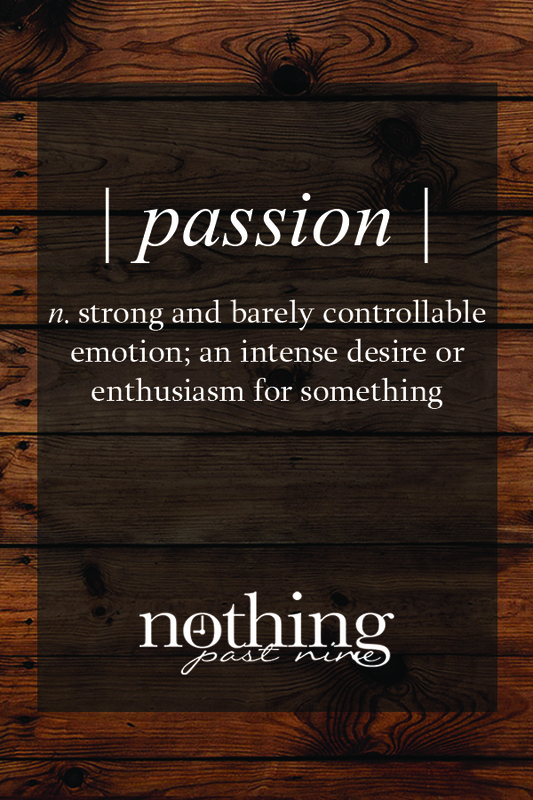 At times I would say I’m downright passionate about it! But identifying what exactly it is that I have a “barely controllable” emotion for and something that I feel a sustained sense of “intense desire” for has been tough. I love working in sports, but I love my hobby-turned-business of crafting too. So I’ve been digging deep and establishing what it is exactly that makes me passionate about life, and I’m determined to live more for that purpose. 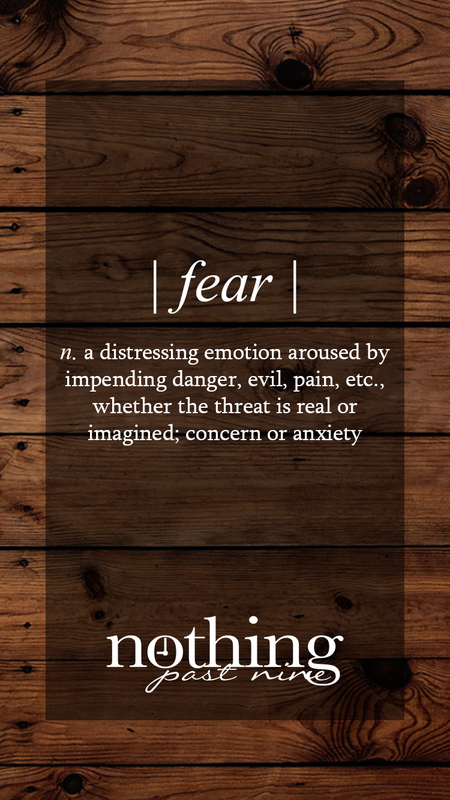 Over the next week, I challenge you to think about your passions. Have they changed over time? Are they changing now? I think that’s natural and 100% okay! 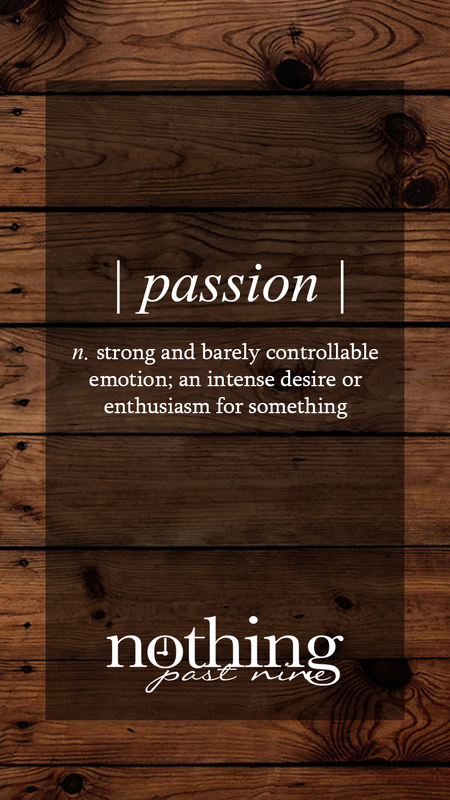 Do you have a strong sense of your passion? Are you living for that? 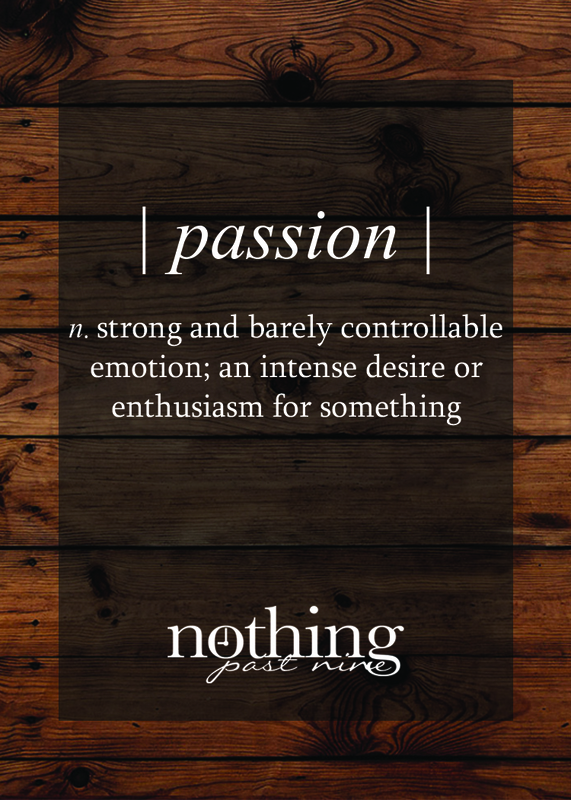 Share your thoughts so we can commiserate or brainstorm ways to make our passions more present in our lifestyles! Need a reminder to find time for your passion? 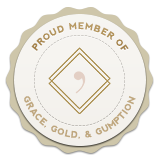 Enjoy a free download and have a beautiful reminder wherever you go! 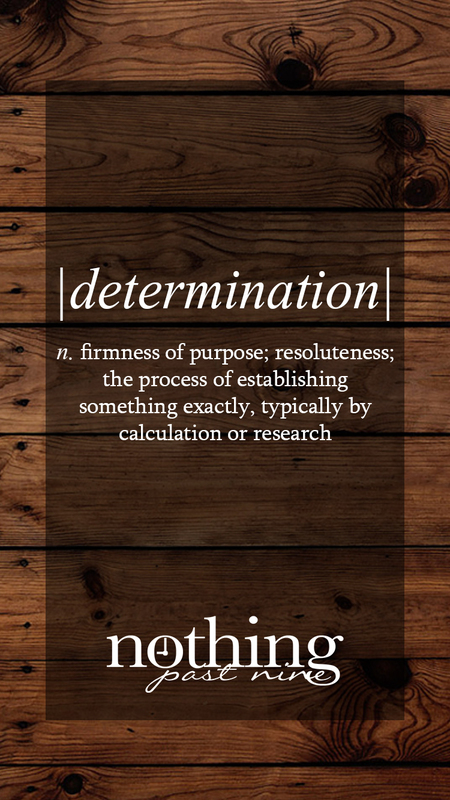 Determination is the fuel that makes success possible – be it over the course of a semester, a career or a lifetime. 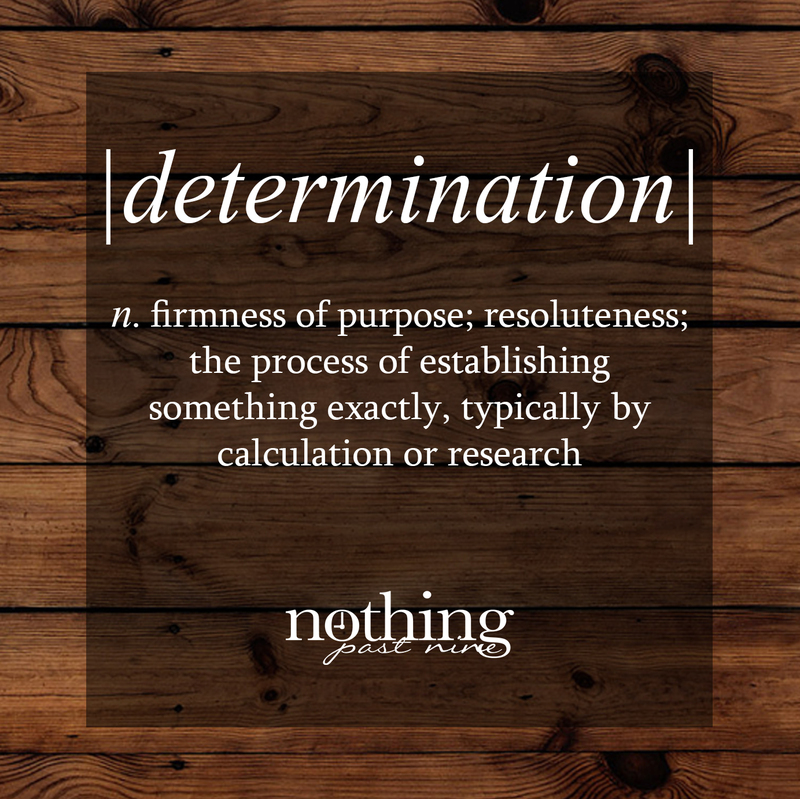 I cannot get enough of the phrase “firmness of purpose.” We each have a purpose and in my mind, to live fully, we need to conduct ourselves with a resoluteness toward that purpose; be it as a creative business owner, a stay at home mom, or the CEO of an international corporation. I also find the concept of establishing something “exactly” through “calculation or research” to be highly intriguing. 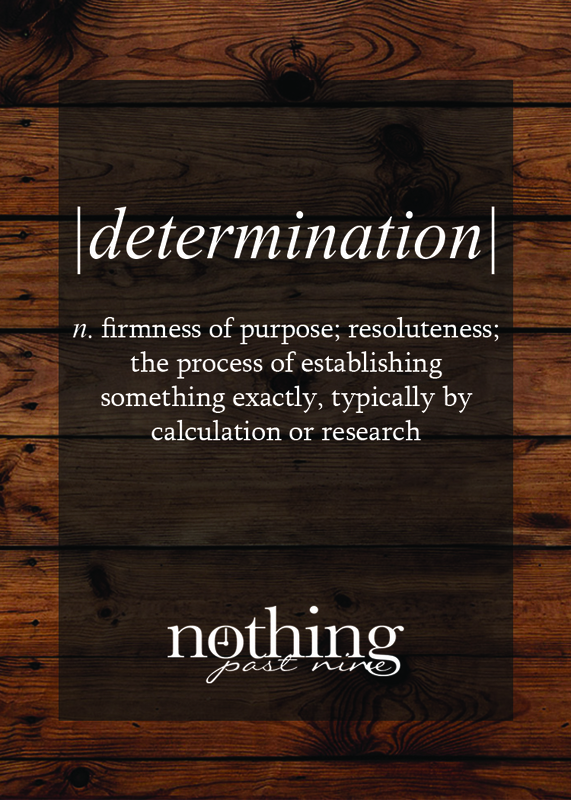 We’ve all heard the phrase, “come to the determination that ____,” but have you stopped to consider how you go through the process of determining? How do you calculate? How do you research? 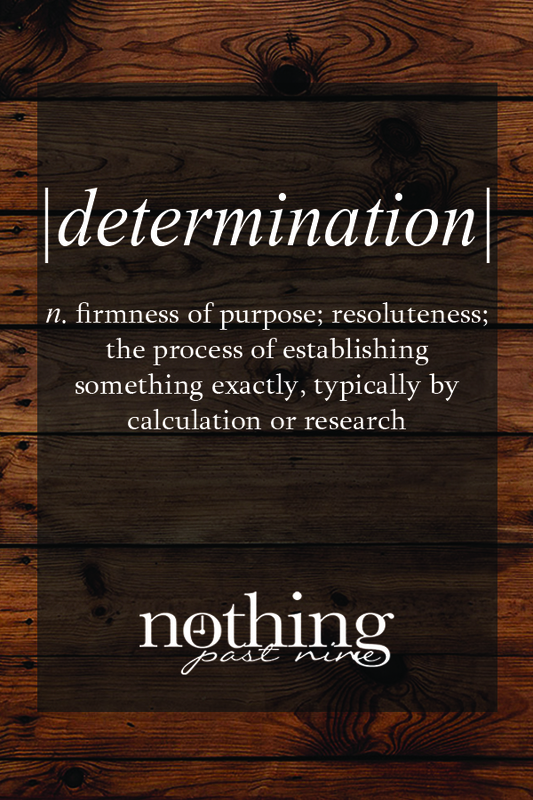 This week I challenge you to re-think the word determination. Think about your purpose. Write it down. 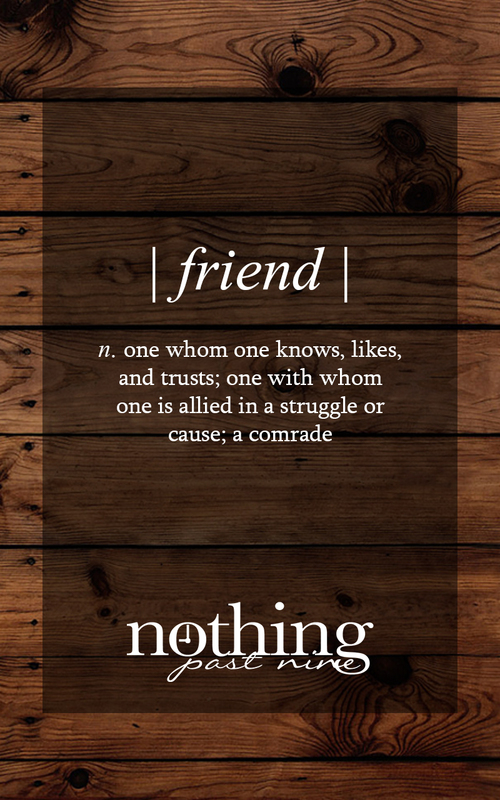 Share it with a friend. Maybe it’s your purpose for the day or the week or maybe your life. 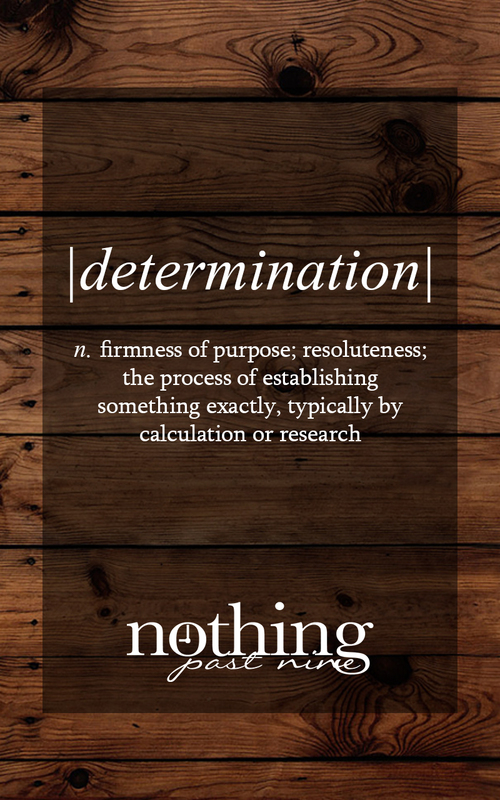 Regardless, keep this definition in mind this next week and maintain your determination! 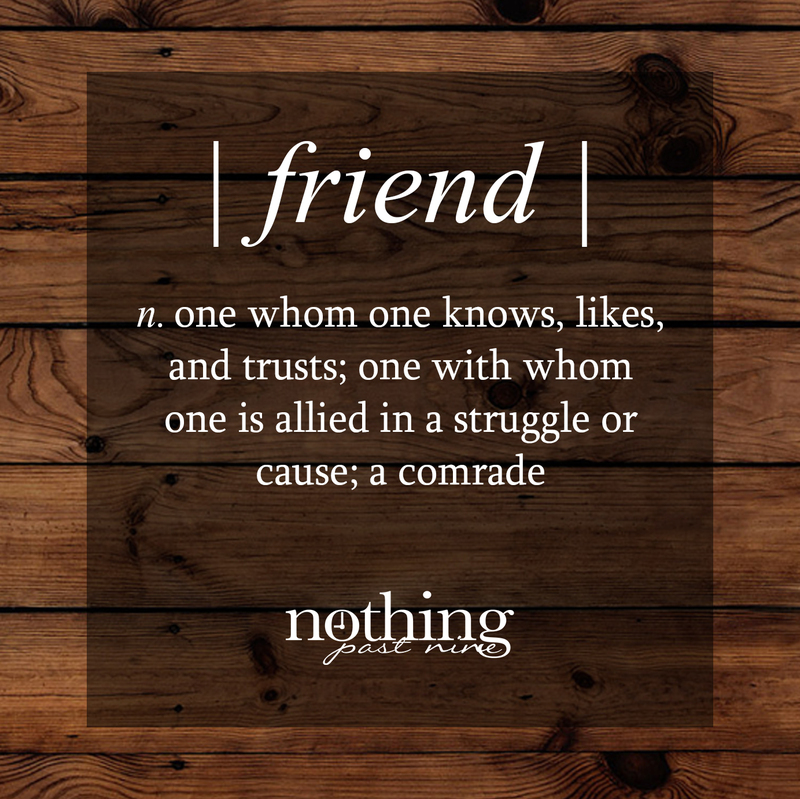 I’ll be cheering for you either way, but I’d love to have you share your purpose here! Ready to tackle the week? Enjoy a free download and take that motivation wherever you go! 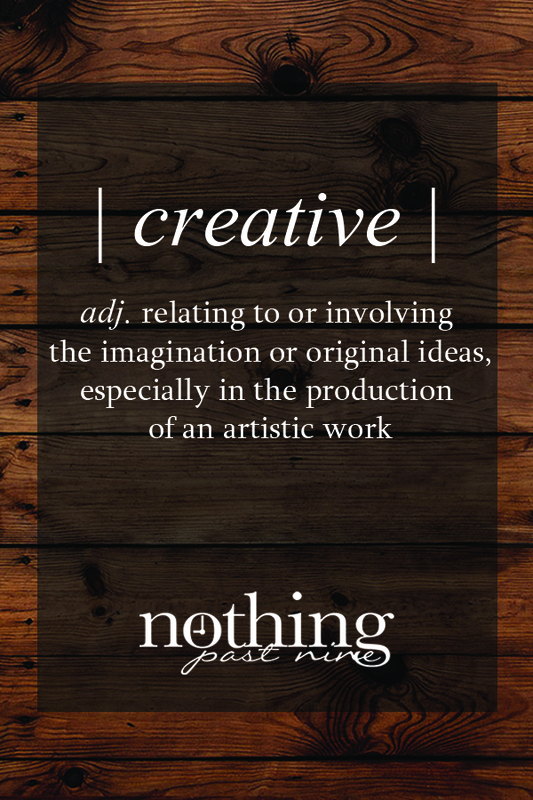 We are starting something new at Nothing Past Nine, and we’re calling it the Creative Business Dictionary! 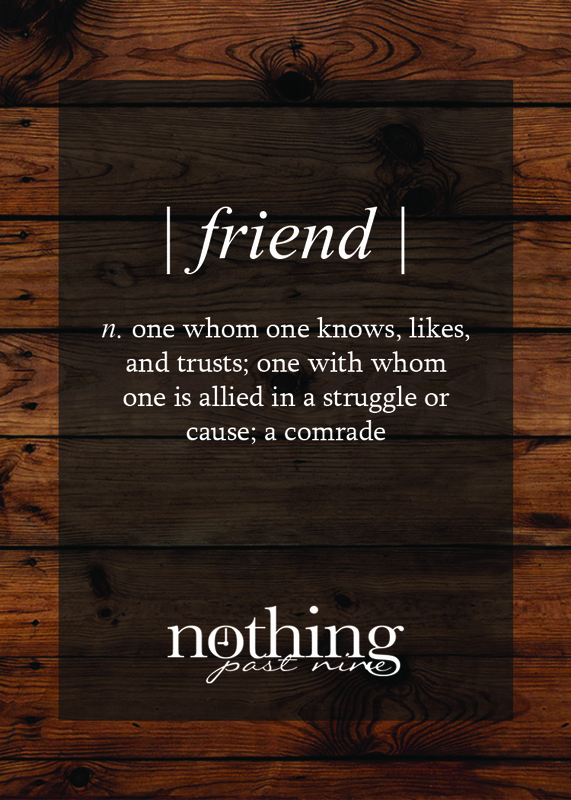 Look for more of these fun new posts each Thursday! Art is everywhere and creativity is limitless. I think that’s what draws me in. There are no borders or boxes to hold back a creative business. What you are capable of is as big and bold as your imagination, and your imagination is unique to you. Use that tool to build a business – and life – that is original and authentic! 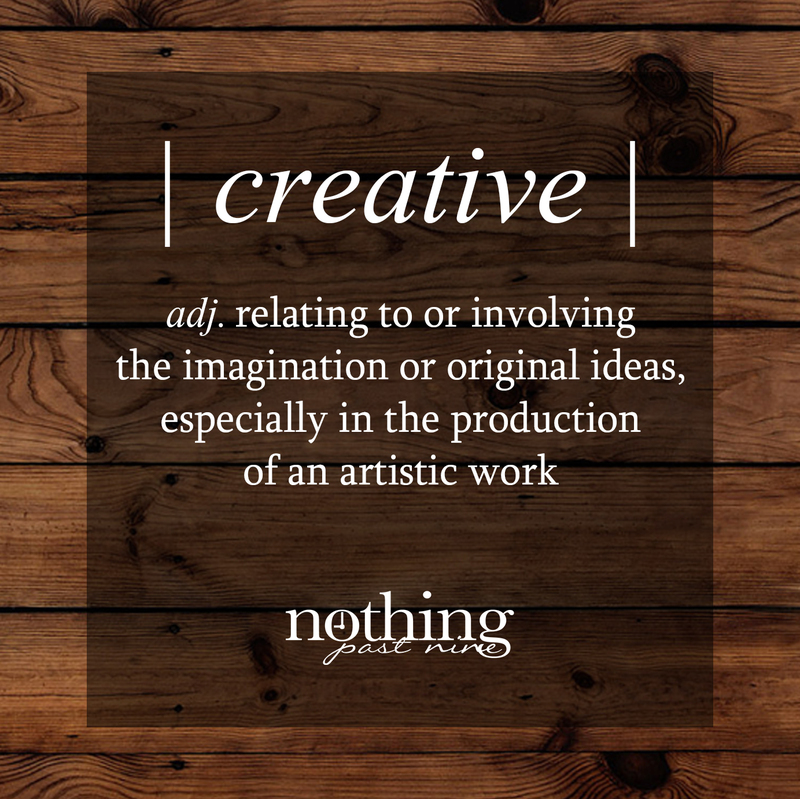 This week I challenge you to re-think the word creative. Are you comparing yourself to others? Do you try to do what others are doing? 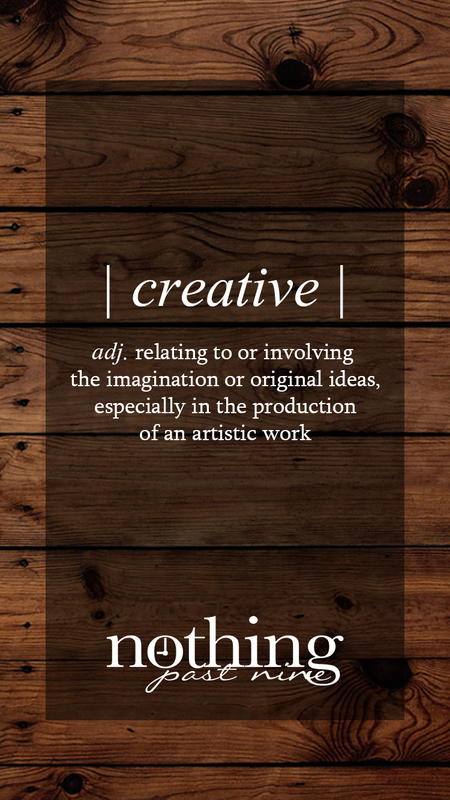 For business or pleasure, take some time and be creative! Brainstorm, doodle, create a new recipe – no outlet is off limits. Just get those juices flowing and appreciate your individuality! Feeling extra creative now? Enjoy a free download and take that motivation wherever you go!